Early in 2018, I became obsessed with one question: how do you build a six-figure blog? Since you’re reading this, I’m guessing you’ve asked yourself the same. Perhaps you’ve read other people’s online income reports and wondered whether you could follow in their footsteps. Maybe you’re already a blogger and the idea of earning six figures seems like an impossible goal. If this is you then I have some good news… and some bad news. The bad news is that there’s no one secret to building a six-figure blog. I can’t offer you a surefire strategy that will guarantee your success. But here’s the good news… there are many ways to create a successful online business. You don’t need to copy someone else’s blueprint. Instead, you can build a blog that’s unique to you. A blog you and your readers love. As part of my research, I interviewed 17 six-figure bloggers. In this post, I share their stories so that you can learn from them and build your own six-figure online business. In 2011, Michelle started her blog Making Sense of Cents as a hobby. Fast forward to 2018 and Michelle is reporting a six-figure monthly income. Early in her blogging career, Michelle fired her freelancing clients so that she could free up more time for her blog. The lesson is simple. If you want to succeed, you must have a clear vision and dedicate yourself to your big goal. An important part of blogging is being crystal clear on what you write about and who your blog is for. This way you can tailor everything you do for a specific audience. Holly blogs at the award-winning website, The Work at Home Woman. She helps women find remote careers and businesses that feed their souls. Holly knows the importance of focus in your blogging business. For Holly, this means being strategic with her marketing and her email list. Your email subscribers are your tribe. The people who love your work and are most likely to buy from you. Dave Stuart, Jr. is a high school teacher by day and a blogger as time permits. He shares helpful articles for teachers at DaveStuartJr.com. Dave shows that it’s possible to build a successful blog while holding down a full-time job. Dave is passionate about teaching and has no intention of giving up his day job. Yet, he also loves helping others through his blog. Dave said that a big part of his success has been publishing helpful posts twice a week – without fail. Consistency and a commitment to your readers are essential. Terra Dawn is blogger and owner of Uncork Your Dork and the Wham! Bam! Business Plan! membership site. Terra told me that everything clicked in her business when she narrowed her attention to one specific audience and product. This allowed her to create something that exactly meets the needs of her ideal readers. It’s easy to chase shiny objects and new trends. But success comes from sticking with your core audience and providing a solution that meets their needs. Christina leverages her background as a lawyer to fill a business need. Her unique business allows her to do work she’s passionate about by pursuing a more creative path. Christina told me that connecting with the right people has been key to her success. She explained that her early mentors helped catapult her business forward. Gina is the founder of Horkey Handbook, a website geared toward helping others find or become a kickass virtual assistant. Gina started out offering freelance writing and virtual assistance services. Later, Gina expanded her business to help others start and grow their own freelance business. Gina told me that success comes from “showing up every day ready to dig in and do the work”. Many people want to build an online business but most give up when faced with obstacles. Meera is an email marketing specialist and writes at MeeraKothand.com. She says that getting comfortable with selling and making money from her business was essential to her success. In our interview, Meera told me: “You’re in business to help people with your skills, but you also earn a living from your business.” Like many of the people I met, Meera understands that her blog is also a business. Kelly is a part-time entrepreneur at Fearless Homeschool and a part-time nursing student. She travels with her family full-time, with no home base, which is why she started working online. Now she’s found success with her first blog, Kelly is creating additional niche sites to diversify and increase her passive income. Kelly says that prioritizing the most important tasks (and actually getting them done) are the key to success. As a former elementary school teacher, Courtney has combined her passions for photography and teaching to create her online business, Click it Up a Notch. Tasha Agruso is the owner and founder of the top-ranked DIY and home decor blog, Designer Trapped in a Lawyer’s Body. It took her just over two years to build a six-figure blog. Tasha also stressed the importance of her email list. In our interview, she explained that “having an engaged email list and a product to sell will give you far more control over your business destiny than anything else”. Nina is a mom of three boys, including twins, and the blogger behind Sleeping Should Be Easy, a go-to parenting blog and resource for moms of young kids. Allie is now laser-focused on one type of client and one offering. And as a result, her business is growing and she’s having a lot more fun in the process! Kristin is the founder of Believe in a Budget, a blog that helps others learn how to side hustle, save money, and budget. In her third year of blogging, Kristin earned just under $290,000. She attributes much of her success to her commitment to ongoing learning. Lena blogs at What Mommy Does about fun stuff like play dates and making memories with your kids, and more serious topics like budgeting and family finances. Lena grew her blog over the course of many years while her kids were little. Cat LeBlanc is a business strategist for online-based entrepreneurs. You can find her blog and podcast, Your Business, Your Rules, at CatLeBlanc.com. The good news is that once you recognize how your beliefs or fears are holding you back, you have the power to climb higher than you ever dreamed. Miranda Nahmias is a marketing expert for female online service providers. You can find her at MirandaNahmias.com. Miranda works with a team of talented people to provide her clients with the best possible results. 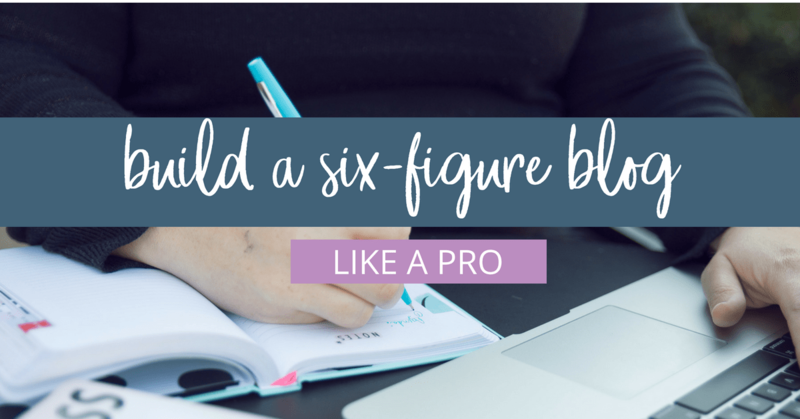 Ready To Build A Six-Figure Blog? 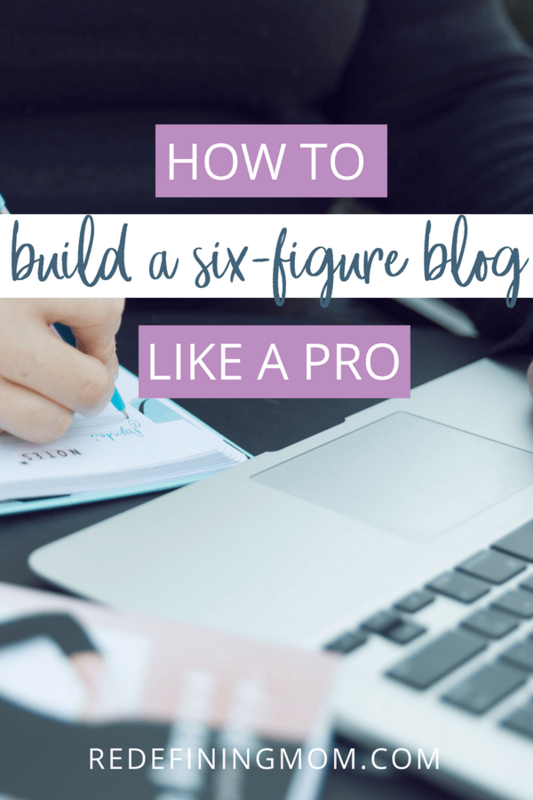 As you can see, there’s more than one way to build a six-figure blog. Each person I interviewed has their own recipe for success. And while there are some common themes (like focus, determination, and an engaged email list) the real secret is to discover what works for you. This may take experimentation but you absolutely can do this! 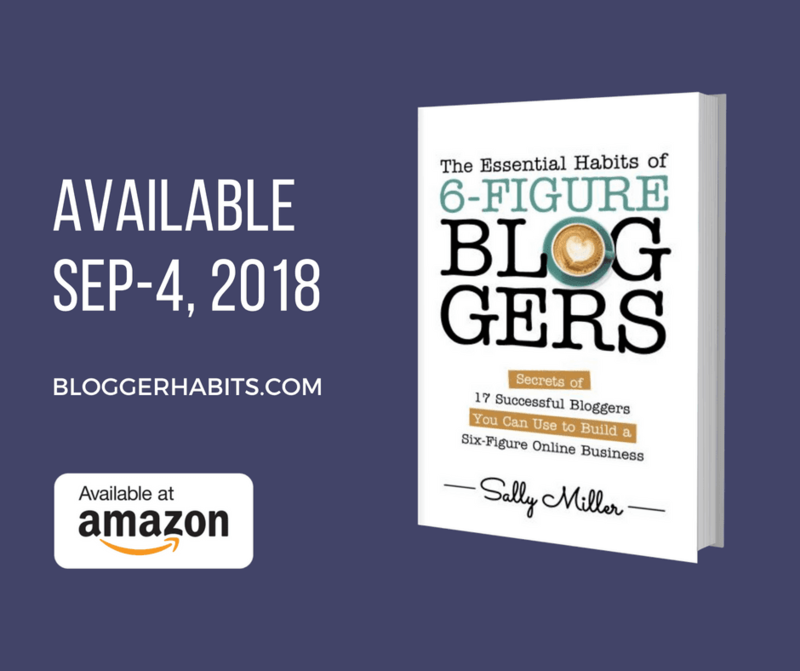 If you’d like to learn more secrets of six-figure bloggers, check out The Essential Habits Of Six-Figure Bloggers. 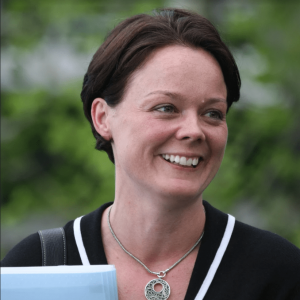 Sally Miller is a writer and coach who loves learning how stuff works, mastering new skills and sharing her knowledge with others. Since leaving her nine-to-five, Sally has published seven best-selling books on Amazon (and counting). You can find out more by visiting sallyannmiller.com where she talks about sharing your gifts with the world to make money from home doing what you love.